At Prolight + Sound 2014, Frankfurt, Germany, Hall 9.0 B62 ETC unveils a host of new products. 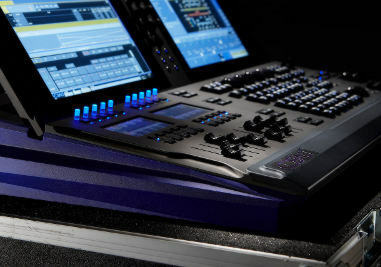 Following the successful launch of the Cobalt 20 desk at PLASA 2013, ETC is expanding the range with the Cobalt 10 desk, which brings the power of Cobalt 20 to a compact, road-ready footprint, with ten motorised faders. ETC’s stand in Frankfurt will include a large cyclorama rigged with the Source Four LED CYC adapter which can be attached to any Source Four LED luminaire to create smooth, full-coverage lighting on backdrops. At Prolight + Sound, ETC will offer the same full-scale, colourful demos that proved popular at PLASA 2013 in London. The SmartPack Wall Mount series of power control products, which now includes ThruPower solutions, will also be at the show. As with ETC Sensor3 power control, dual- and triple-action dimming and switching configurations provide complete control of today’s hybrid rigs. Also on the stand for demonstration will be the halogen Source Four Mini fixture. It is available in portable, ceiling-mount and with track-adapter versions. The Source Four Mini has been widely used in smaller theatres, including for the Skipton Puppet Festival in England, and at the Seebühne puppet theatre on the north German island of Hiddensee. There is also an opportunity before the show to win a Cobalt Nomad dongle, which lets you experience Cobalt from your own PC. You can program your own show from a range of four different one-minute music tracks, and then have it reviewed by a panel of judges. More information is available at etcconnect.com/Prolight2014. All entrants will receive free entry to Prolight + Sound.